Both the Maryland trial lawyers, and the large insurance companies have logical arguments. There are many cases where a plaintiff should in the interest of justice recovery a monetary settlement from a negligent party, but ends up with nothing due to the contributory negligence standard. But there are also too many civil lawsuits clogging up the civil justice system in comparative negligence states. 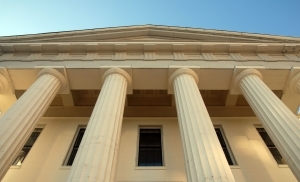 Regardless of which side has a stronger case, the Maryland Court of Appeals may soon issue an opinion which will either put the issue to rest, or do away with the contributory negligence standard that has been in place in Maryland since 1847. The Maryland Court of Appeals has agreed to hear argument on a case where a 20 year old soccer player was injured when the crossbar of the soccer goal fell on his face at a Howard County school. The jury found that the defendant was negligent in failing to secure the soccer goal, but did not award a verdict in favor of the soccer player because he was found to be partly negligent in jumping up and touching the crossbar. There has been no indication of which way the Maryland Court of Appeals is leaning, but trial lawyers and insurance companies alike will be on edge waiting for the opinion in this potential landmark case. 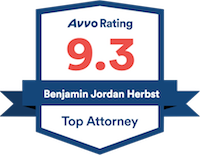 Benjamin Herbst is a Maryland criminal lawyer and a Maryland personal injury lawyer. Mr. Herbst is available 24 hours a day to discuss an arrest or criminal investigation, or a possible lawsuit for injuries due to someone else’s negligence.